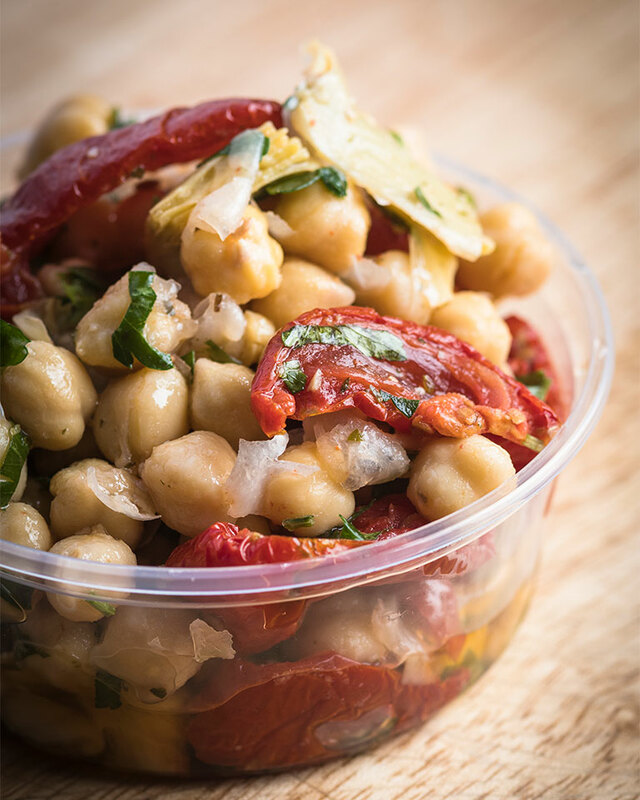 In a large bowl, stir together chickpeas, artichoke hearts, and sun-dried tomatoes. Gradually pour vinegar and oil over the top and stir to combine. Add salt, pepper, parsley and mint and mix gently. Cover and allow flavors to meld at least 1 hour before serving at room temperature. Refrigerate leftovers.